Well, yesterday was a jolly spiffing day. Lord and Lady Piles Collarbone invited us to their new town house in Bath. They proudly showed us where they had cleared the labourers cottages away so that they could build the house of their dreams. It is always heartening to see fellow aristocrats have a vision and not let trivilaities get in the way. This is despite an attempt by the labourers to protest against Lord Piles and claim that they had lived in those cottages for generations. Lord Piles retort that he was from a long line of philanderers that went all the way back to the Norman Conquest thankfully won the day and the magistrate found in his favour. Furthermore, their cook made a feast which I will remember for as long as the alcohol allows me to. I have a good mind to lure her away with the promise of a sovereign to come and cook for me at my country pile. Today has been equally spiffing. The sun shines on the righteous and I have donned my boater and gone for a punt around my lake. It has put me in such a jolly mood, I think I will go to the Steward and tell him to put the rents up. The butler has just brought me my neatly pressed copy of The Times. Whilst perusing, I nearly choked on my kipper. Once again those chaps from Fleet Street have got a bee in their bonnet and are bleating on and on about their latest tedious concern; the increase in Manurehouse gases. It really is quite a bore. They rant on and on about how there are far too many carriages on the road and that the horses are producing so much beastly excrement, that the roads are becoming nigh on impassable to those on foot. Supposedly due to both the gentle aroma of manure and the mountains of it piling up on the roads. I say, balderdash and piffle. What are people doing walking on roads? Clearly, only the lower classes would do such a thing. If that is the case, and I am reliably informed by a travelling tinker that it is, why on earth should it be of any concern to the ruling classes? It is not as if it matters whether their clothes get covered in excrement, as I am reliably informed that they do not wash. Besides, I have just purchased the largest and fastest four wheel drive carriage from Selfish, Guzzler, Twerp & Co, and from my lofty position I am not aware of any manurehouse gases. So there you have it, dear readers. I am completely oblivious to the existence of manurehouse gases, so they clearly do not exist. You may rest easily in your beds. I have nothing against Roman Catholicism. Indeed some of my oldest chums are lapsed Catholics including my Turf Accountant, Old Dave and the famous explorer and naturist Sir Thumper Dung. However, whilst bribing the local officials in Rome for fine marble sculptures, I casually sauntered into the Church of San Maria Maggiore and was faced with that bounder of a Pope, Pius V. He, who had the temerity to excommunicate Good Queen Bess. Now Good Queen Bess has a special place in the hearts of Daft’s for it was she who ennobled my great forbear Sir Willy Daft. I was therefore of the mind to protect the honour of Good Queen Bess and place a defiant portrait of her on the statue of Pope Pius V.
I was within five feet before being craftily intercepted by a Priest who had the presumption that I should go to confession. Now, I am not pure by any stretch of the imagination, but I do find it beastly to have to admit to my sins. As a member of the English Aristocracy, I am so busy down at The Club imbibing the finest Claret with my chums, I find it inconvenient to have any. I was therefore left quite speechless for the first time in my life. To be polite I regaled him with tales about mischevous pranks that I played on Nanny when I was a child, and how I had perhaps been a tad too hard on the Butler three months ago when I refused him his one days holiday a year because I wanted my monocle polished. This seemed to do the trick. Now, I may have misheard the Priest, but I am sure that he ordered me to drink 19 Bloody Marys at the nearest Trattoria. I followed his advice despite the fact that I do not like to water down my spirits with hideous tomato juice. By the end of my repentance, I decided that I was quite partial to Catholicism and would never again try to interfere with a statue of any Pope. I have just returned from a little jaunt to Rome. I do enjoy patronising our European cousins and regaling them with tales about the magnificence of our Empire. When in Rome, I would never dream to do as the Romans do. Instead I amble to the Tevi Fountain and lead the assembled throng in a proud rendition of ‘Rule Britannia’ which they all seem to enjoy. My aim for this particular jaunt was to add to my collection of classic sculptures. I had been inspecting my country estate two weeks ago, and noticed that my morning room was a little bare. I immediately rang the bell and my supercilious butler appeared so quickly that I suspect he must have been spying on me. I ordered him to pack my portmanteau and we were soon aboard the steam train. I had a very successful trip bribing, pilfering and where absolutely neccessary, procuring some classic Roman sculptures. My morning room is now so full I can barely enter it without being poked by some protruding marble digit. I have already mentioned my good friend Sir Thumper Dung in relation to his slanderous comments regarding my journal as a Snob Blog. 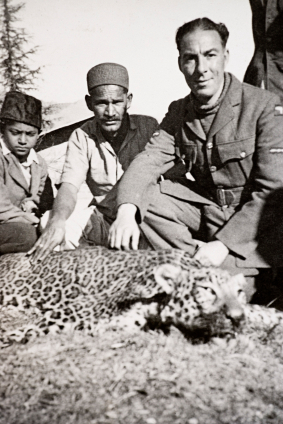 Here is a picture of him on one of his many expeditions with only a couple of small indigenous boys for company. However, of Sir Dung’s many faults (my dear reader, you would find his long list of faults impossibly tedious to read), it is his obsession with Dr Appleborough that threatens the sanity of all who know him. When he has one too many glasses of vintage port, he will start a monologe about the virtues of the Doctor. After his eigth glass, he will attempt a shoddy impersonation of the Doctor. We chuckle with him in order to help keep his upper lip stiff and his chin up, but we know that all he yearns for is an evening by the fire with The Great Man ……. As you know, I have recently purchased the very latest Penny Farthing. My good friend Major Nicholas Steward always has the latest bycicle and seeing as he will be visiting us at our estate in Wiltshire in a few weeks, I felt that I must have the largest front wheels possible. Besides, I think I look remarkably dandy sitting atop the bycicle in my top hat and tails. Anyhow, I thought that I would take the Penny Farthing for a spin in town and give the horses a rest after last night’s race around The Square with that frightful cad, Austin. Well, I was aghast at the state of the roads. When will the Aldermen do something about the potholes and the beastly mud? I was riding around one of these potholes when suddenly a bear of a man in a rather plain carriage had the temerity to blow his fog horn at me and utter all manner of expletives. Why is it otherwise placid people become monsters in carriages and think that they own the muddy track? It’s the type of behaviour one would expect from working class type of chap, but not someone who owns a carriage (albeit a plain one).